Summa has launched the new Summa S Class 2nd Generation (S2) cutter which is even more versatile and productive than its predecessor. S Class series S2 improves performance due to a new faster processor. The standard Ethernet connection enables faster communication and means longer distances between computer and unit are possible. Other enhancements include improved media flanges with more grip in order to better handle wide heavy rolls and a reorganised, colourful and user-friendly new menu screen. Erwin Vandousselaere, SummaGeneral Manager remarked, "The new S2 makes use of the latest technologies and is ready to meet new requirements of the Signmaking market." Integrated CPU - The new integrated CPU allows yout to do more operations in less time by increasing the calculating power of the cutter. It can now process jobs seven times faster than the original S Class. Cut jobs without connecting to a PC - The S Class 2 now has an integrated USB A port which will allow you process stored cut jobs on a USB flash drive without having to connect to a PC. 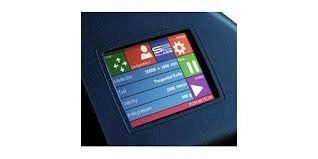 Improved user interface - A 3.5" high contrast backlit colour LCD touchscreen has been added enabling you to access all of the machines internal functions and advanced features much more intuitively. Improved network connectivity - A 10/100 Ethernet port is now included as standard making the cutter much easier to connect to networks than previous models.